Well, my kids love EVERYTHING EMOJI!!! So we have made a number of Emoji bookmarks to date. 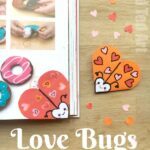 We do love the “classic” Emoji Corner Bookmarks, but have also succomb to the temptation of the Poop Emoji (oh the horror!! Teehee). 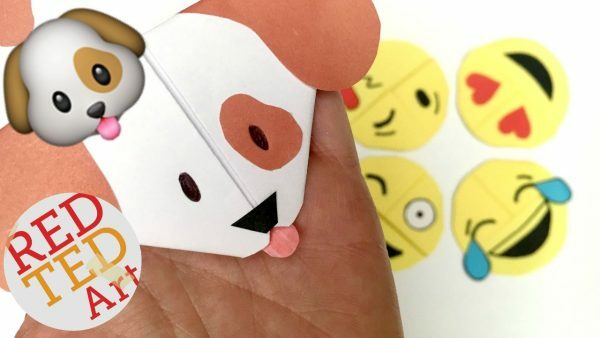 Today, we are going the other way and swinging towards Emoji cuteness: the Emoji Dog Corner Bookmark or Puppy Bookmark depending on how you see it! Isn’t he cute? 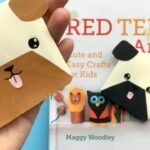 This would make a great Chinese New Year Dog Crafts idea too! 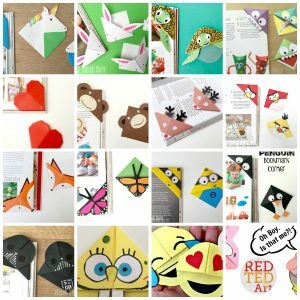 We do love a Dog Craft (or two or three) and with the Chinese New Year 2018 being the year of the Dog… well, you need no more excuses to make this lovely and easy Dog Origami Bookmark, no do you? 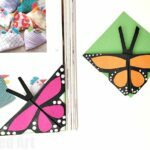 This goes nicely with the well over 100 Corner Bookmark Designs that we have here on Red Ted Art for you! 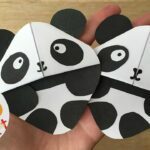 We also have a wonderful Pug Corner Bookmark that you may love.. as well as two “Hug a Book” Dog Bookmarks – the Pug in Tie Hug a Book design and the “regular” Dog Bookmark Design (both with printables). 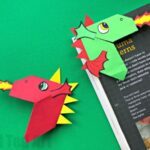 All these bookmarks would be brilliant Year of the Dog Craft ideas! 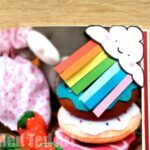 Strictly speaking I should refer to these as KIRIGAMI… as some cutting and decorating is involved. 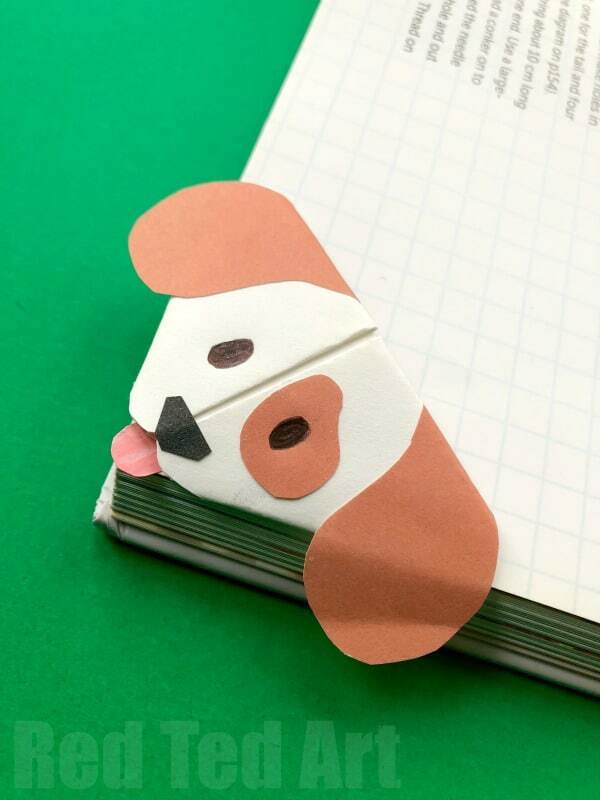 However the puppy bookmarks are based on the classic Origami Bookmark that has been decorated! 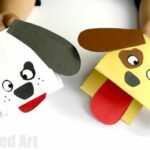 Yes it is video time again… as per usual you can browse the handy how to make a dog bookmark video or you can skip down the page to the step by step bookmark making instructions! 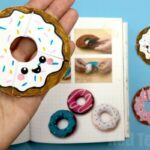 Once you have made your basic bookmark corner, take your scissors and shape the very top of your corner bookmark – this will be your mouth – and you will have a tongue peeping out. some brown ears – they are a more or less tear or drop shaped. Do experiment and see what it looks like. 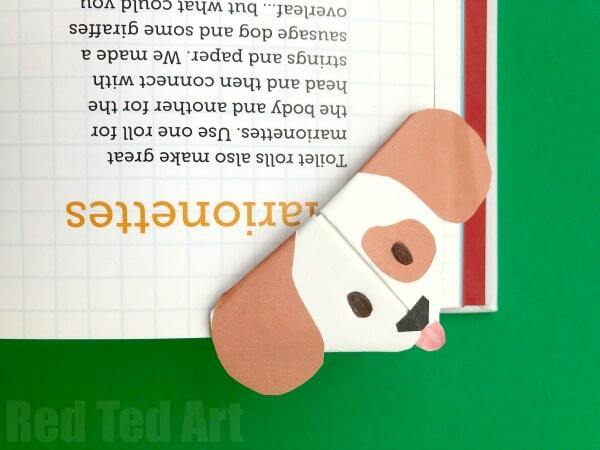 Once you have all your doggy piece cut out, glue them down with a little glue stick. Finally, add soem balck eyes and you are done! 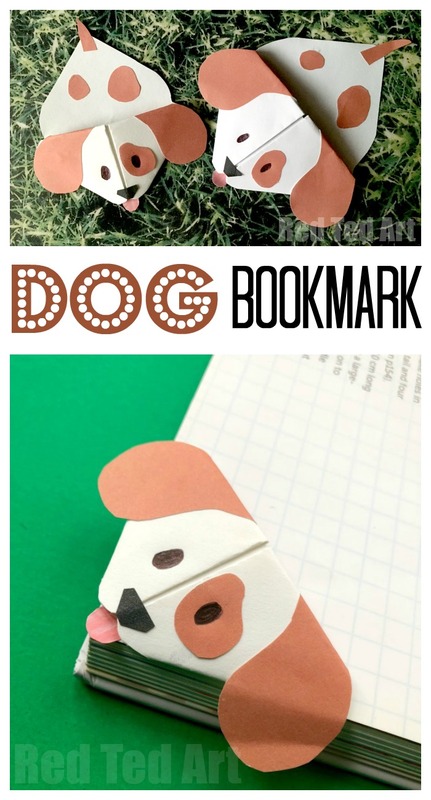 LOVE these adorable Puppy Dog Bookmark Corners. Just too cute. 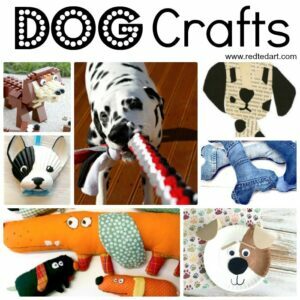 I think they make a fabulous craft for the Year of the Dog this Chinese New Year 2018! !